There’s nothing quite as magical as sipping a fresh cocktail on a veranda overlooking the majestic walls of the Old City, as the golden stones reflect the shimmering glow of the setting sun after a day spent bargaining in the ancient alleys of the shuk. Across town, the sunshine of the day melts into the pleasant cool of the evening, transforming the bustling fruit market of Mahane Yehuda into a network of pop-up bars, eateries. Jerusalem is an ancient city with a history that stretches back thousands of years, but it is also a modern city with appeal to the young and trendy. Like any city, the charm and essence of Jerusalem is best absorbed by walking its streets. However, depending on your interests, you don’t want to miss out on exploring at least some of these major attractions and finished them with a stay at hotels in Jerusalem near old city. When visiting religious sites, it’s advised to dress modestly and wear clothing that covers your knees and elbows. A good place to start is Jerusalem’s Old City, which has a very special and distinct atmosphere and is where many of the major attractions of Jerusalem are found. Jerusalem is a unique city. It has long vested history revolving around the three religions. It has a rice history and endless beauty; it is defiantly one of the best cities to visit in the world and what a better way to indulge is to stay in magnificent hotels in Jerusalem near old city. It is a way of life to enrich your soul with sight and scene of the holy land which is consensuses in any of the 3 major relights, it is time to have a fun in luxuries hotel with a breathing view to the old city, the food is amazing, the culture is all around you, the clubs are located in a short distance from the hotel. 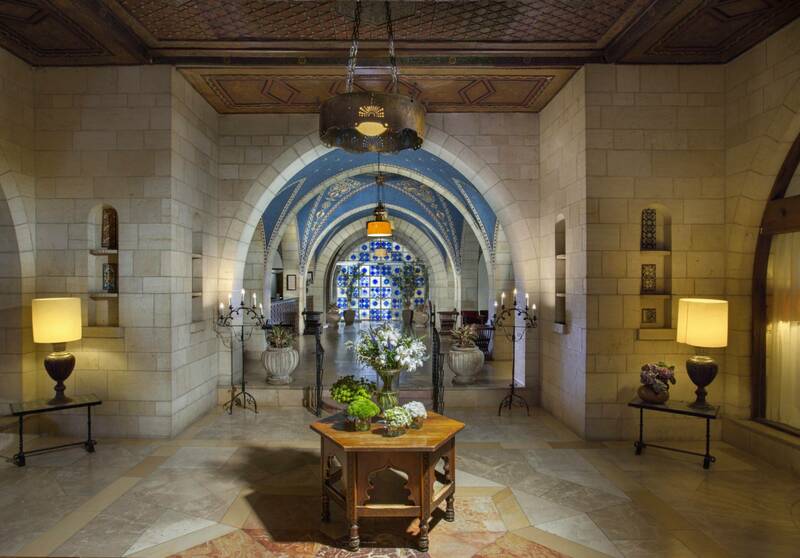 This place was built as a castle in the early 20th century dated back to 1919, it is preserved in all his glory and renovated into the three arches hotel, if you need one place and you need hotels in Jerusalem near old city this is the place you want to be in.